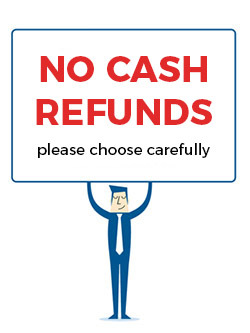 Shop signs claiming customers aren’t entitled to refunds can mislead consumers about their rights. We go hunting for the worst offenders. Shop signs claiming customers aren’t entitled to refunds for faulty goods mislead consumers about their rights. We go hunting for the worst offenders and tell you what you need to know when retailers try to dodge their responsibilities. 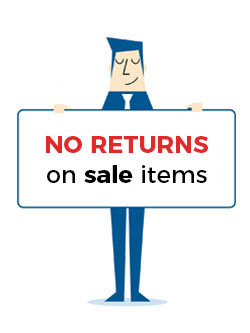 Retailers can’t fob you off with “no refund” signs. The Consumer Guarantees Act (CGA) requires products to be of acceptable quality. When they’re not, you’re entitled to go back to the retailer and ask for things to be put right. When a product has a minor fault, the store can repair the item, replace it or give you a refund. When it’s a major fault, you can choose whether you want a repair, replacement or refund. If you simply change your mind, retailers don’t have to do anything. But they can’t send you away if the product you bought isn’t up to scratch. They’re also breaching the Fair Trading Act (FTA) if they put a “no refunds” sign on the wall. Just because an item’s on sale doesn’t mean the retailer can sell you a dud. You’re entitled to return the product if it’s not of acceptable quality, regardless of any sign claiming otherwise. The only exception is if the fault was pointed out to you at the time of sale – for example, you were told the dress you wanted had a flaw in the fabric or the woolly jumper you were keen on had a small hole. You can’t complain about these faults. But you’re entitled to take the item back if it develops other faults – say the stitching on your dress comes apart or your flamingo-pink jumper turns out not to be colour-fast. When you return a product because it’s not of acceptable quality, you don’t have to settle for store credit. Any retailer claiming you do is misleading you about your rights. The CGA is clear about what should happen: a refund for a faulty product has to be a refund of the price you paid. Not store credit or a gift voucher or a discount off another product in the store. 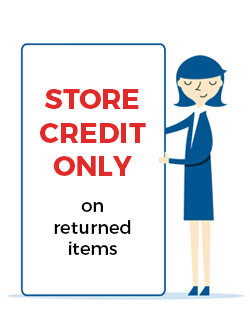 Retailers may offer you store credit if you change your mind about a purchase and want to return it, though they don’t have to. If you’ve got doubts about your purchase, before you hand over your money ask the store if you’ll be able to exchange it. 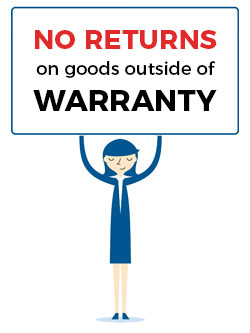 It’s one of the most common complaints we get: retailers telling customers they have no rights because the product is “out of warranty”. If you ever hear this, the retailer is misleading you about your rights. Regardless of any manufacturer’s warranty that comes with a product, you’ve got additional rights under the CGA. When goods aren’t of acceptable quality, the retailer must provide a remedy. Moreover, they can’t send you away to deal with the manufacturer. You can choose to contact the manufacturer, but treat this as a fallback option if the retailer’s gone out of business or is proving hopeless to deal with. 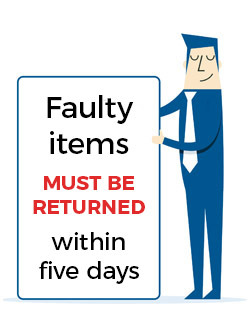 Retailers can’t set arbitrary time limits on how long you’ve got to return a product if it turns out to be faulty. There’s no time limit in the CGA and any retailer that tells you otherwise is misleading you about your rights. The act is deliberately open-ended on this matter. Whether a good is of acceptable quality depends on what a reasonable consumer would think was acceptable based on the nature of the goods, the price paid, where they were bought, and any claims made. In practice, this means you can expect a top-end product to meet a higher standard than a budget buy. But both items still have to do what they’re intended to do, be durable and free from minor defects. Some retailers go to great lengths to wriggle out of their obligations under consumer law. 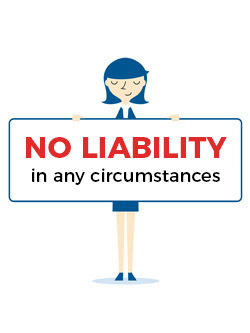 Some even go as far as claiming they have no liability for faulty goods or services “in any circumstances whatsoever”. Statements like these are flat-out misleading. They also make us wonder why the trader thinks anyone would want to buy from a store that’s not prepared to stand behind the goods it sells. Our advice is to steer clear of any trader making claims it has no liability for its products or tries to limit its liability in some way. Retailers must provide goods that are fit for purpose and last the distance. You’re covered: The CGA covers goods and services purchased for personal, domestic or household use. What you can expect: The act obliges retailers to guarantee their products are of acceptable quality, fit for purpose, and match any description. Faulty goods: If a product fails to meet one of these guarantees, you have the right to insist the retailer makes good. Minor faults: If the problem is minor and can be fixed, the retailer can choose to repair or replace the item or give you a refund. Keep the product and claim compensation for any drop in its value caused by the failure. A reasonable consumer wouldn’t have bought the product if they’d known about the fault. The product is significantly different from its description, the sample or demonstration model. The product is substantially unfit for purpose. from $5000 to $20,000, you’ll pay $180. But stores tempting customers with “bargains” must be offering a genuine deal. If they’re not, they risk misleading consumers and breaching the FTA. So if a product is advertised with a “50% off” sticker, it must be half the usual selling price. However, we’ve found so-called specials that aren’t that special. Last year, the owners of Bike Barn were fined $800,000 for exaggerating discounts. The store’s “discounted” prices were actually its usual selling prices. A Commerce Commission investigation found that out of nearly 6000 bike sales, only 30 were sold at the so-called full price. If you think a retailer is trying it on, make a complaint to the commission. Let us know too. Most websites belonging to a particular goods or services provider I go to force you to sign up before you do anything. And when you sign up, you have to click a box saying 'I have read and understood these ts&cs and agree to them.' And in those usually outrageously long ts&cs are usually many pages upon pages stating how the provider accepts no liability for practically anything. Look at any social media provider's ts&cs or Microsoft's or even most online stores. Of course, some of them, or most of them even, may be based outside of NZ laws. But I'd say that if they're legally aloud to trade to NZers inside NZ, then they ought to be bound by our CGA and similar legislation. I'm not sure if that is true, but I'd be interested hearing it. If it is true, then when the government (or at least Consumer,) cracks down on what could be construed to be illegal signage, it should consider online sites too.